Breathe in the fresh air and enjoy the mountain views from your private porch! This was an original log cabin that has been updated through the years, cozily tucked into the Pine trees. Natural Gas, Internet, ADT Security System, and a whole house natural gas automatic back up generator are just a few of the modern conveniences this cabin has to offer. 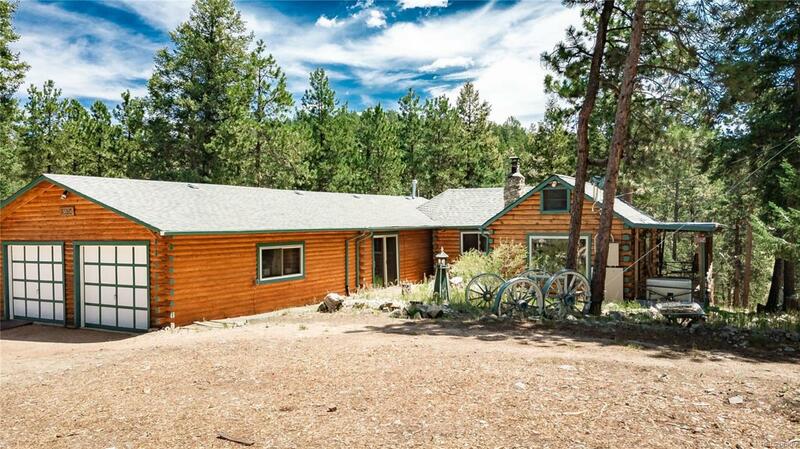 Enjoy the peace and quiet of living in the Colorado mountains while being an easy 35 minute commute to Denver metro area. Main level living and wheelchair friendly. Just minutes from all kinds of recreation including hiking, biking, fishing, and other outdoor activities at Jeffco Open Spaces, National Forest, or Staunton State Park. Shopping and schools are also convenient to access and only minutes away.